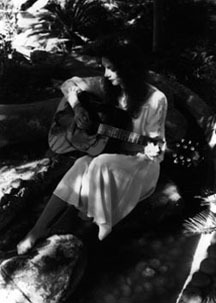 Genres: singer-songwriter, folk, classical, jazz, pop, light rock, and voice-over. Free initial consultation / meeting. Ask about conference audio visual presentation capture and event webcasting. to help produce your music at Trimordial Studio or at an outside studio. Roy Rendahl specializes in stereo and multitrack audio recording on location or at my small recording studio in Las Vegas using Pro Tools LE through an Mbox (with Focusrite preamps) into a portable Apple MacBook Pro laptop computer. Recording 1 stereo track or 2 mono tracks at a time, I can build up to 32 total tracks. I usually record at 24 bits and 44.1 kHz sample rate, and dither down to 16 bits for CD or MP3 distribution. I can also record and work at 48 kHz which is usually audio for video. I also use Audacity audio editing and recording program for some special tasks like noize reduction. Music genres that I work with are singer-songwriter, folk, classical, jazz, pop, light rock, and advertising or audio book voice-overs. Monitoring in my treated room is through a stereo 10" JBL three-way speaker system with 600 watt Carver power amp, and also through Shure SRH840 and Sennheiser HD 425 professional monitoring headphones. Talent monitoring is with Sony MDR-7506, Koss Pro / 4AAA Plus, or Audio-Technica ATH-P5 headphones. I can mix my tracks, or your tracks that were recorded elsewhere, in my studio. Contact me to see if I'm able to import your tracks' format into my system. Full payment is required before the release of any material or files. I accept cash or checks; or credit cards only through PayPal. Your finished mono or stereo audio files can be provided to you as AIFF or WAV, MP3 or AAC (with ID3 tags), Pro Tools, and other computer sound file formats; or on CD or DVD. You may also hire both Alex Oliver (Music Director of Poppermost pop rock band) and myself as TriPops Music Production Service to help you write and record your own music at our location or yours; or we can write custom music for your advertising, and film / video needs. Mics available include Shure: SM58 cardioid vocal mic, 2) SM57 cardioid instrument mics, 2) SM81 cardioid studio condensor mics, 1) SM11 wired omnidirectional dynamic lavalier mic, 1) 55S Unidyne classic "Elvis" unidirectional dynamic ('50s-'60s vintage); and Electro-Voice: 1) PL80a cardioid vocal mic, and 1) 667A classic broadcast studio dynamic cardioid mic with shock mount ('60s-'70s vintage). I have a power conditioner and voltage regulator on the studio electric power, with an uninterruptible power supply (UPS) battery backup powering my external hard drives. Please see my Video page for any small location video production needs you may have. And see my Graphics page for any graphics, photography, or marketing needs you may have. Roy Rendahl also plays a Fender Jazz bass guitar with a Gallien-Kruger 100 watt 12" studio / small stage bass amp. For the final polish to your sound, Roy Rendahl uses iZotope Ozone professional mastering program on an Apple MacBook Pro computer in my mastering studio. Music genres that I work with are singer-songwriter, folk, classical, jazz, pop, light rock, and spoken word. I am happy to do a free partial-song sample mastering of your music so you can see how I can make you sound the best you can. My Ozone mastering program combines 7 mastering processors into one complete system, giving your mixes a finished, full, and professional sound. Ozone's critically acclaimed IRC Loudness Maximizer gives you commercial volume and fullness without distorting or coloring your mix. An 8-band Paragraphic EQ combines linear phase precision with the warmth and character of analog equalizers. 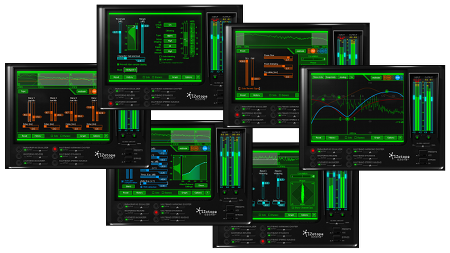 And Multiband Dynamics, Harmonic Exciter, Mastering Reverb, and Stereo Imaging tools add depth and polish to your music. Monitoring in my treated room is through an equalized stereo 10" JBL three-way speaker system with 600 watt Carver power amp, and also through Shure SRH840 and Sennheiser HD 425 professional monitoring headphones. We can provide your tracks or mixed or mastered mono or stereo audio as AIFF or WAV, MP3 or AAC (with ID3 tags), Pro Tools, or other computer sound files (at 16 or 24 bit at 44.1 or 48 kHs sample rate); or on CD or DVD. Audio engineer services only, using your equipment at your location, for live or recorded performance or recording. Or audio engineer and EFX only, with a portable rack of stereo compression, reverb, delay, and Aphex Aural Exciter to add to your sound system. Including sound engineer (me), and studio equipment and instruments. Apple MacBook Pro and Digidesign Mbox Interface (with Focusright mic preamps) Running Pro Tools LE (or Audacity) for Digital Multitrack Recording: 2-track or stereo recording, up to 32 total tracks available. Vocal and small / quiet acoustic / electronic instrument recording. Audio work on pre-recorded material. Recording or mix down to MacBook Pro. Preparing and transferring material for digital CD, DVD, MP3 files, or other output. $25 per hour production time, with additional charges for material costs. Including sound engineer (me), mics, and boom mic stands if needed. Apple MacBook Pro and Digidesign Mbox Interface (with Focusright mic preamps) Running Pro Tools LE (or Audacity) for Digital Multitrack Recording: 2-track or stereo recording, up to 32 total tracks available. $50 per day plus $50 per hour production time. Files saved to internal or external hard drives. Mileage charge round trip is 50¢ per mile for all location charges. There is also an extra charge of $100 per day for a job that is over 100 miles away from Las Vegas. On-call time charge is $15 per hour. $100 or more deposit may be required to hold a booking. Rehearsal time is charged, set up and tear down time is not charged. 1 hour or more may be required for set up, 1/2 hour or more may be required for tear down. A deposite of $100 is required for location work. $25 per hour pre-production time charge (music writing, practicing, coaching, etc), $50 per hour production time charge (recording), and $25 per hour post-production time charge (mixing, mastering, file transfer, etc), with additional charges for material costs. $100 per day plus $100 per hour production time, with additional charges for travel and material costs. Mileage charge round trip is 50¢ per mile. Mileage charge round trip is 50¢ per mile. There is also an extra charge of $100 per day for a job that is over 100 miles away from Las Vegas. On-call time charge is $15 per hour. $100 or more deposit may be required to hold a booking. Rehearsal and sound check time is charged, set up and tear down time is not charged. 1/2 hour or more may be required for set up, 1/4 hour or more may be required for tear down. Mastering that is part of a recording or mixing project is priced at the normal studio charge of $25 per hour. Pricing for stand-alone mastering is per song up to 5 minutes in length (plus $5 for each additional 5 minutes of playing time for each song). The 1st song is $75, the 2nd song on up is $50 per song (all in a single project). Full payment is required before the release of any material or files. I accept cash or checks; or credit cards only through PayPal with trimordial@thefaro.com. Small quantity (1 ~ 20) duplication (burning) for studio customers. CD $5 each or DVD $10 in paper sleeves. Add $1 each for slimline jewel cases and $2 each for standard jewel cases. Add $2 each disc for disc labels and $4 each case for front and back jewel case inserts. $25 per hour production time for any file preparation, handling, and setup. See the Graphics section of our pricing page for information about design and printing disc labels and inserts. I recommend Disc Makers 1-800-468-9353, Oasis 1-866-409-8170, or Odds On 1-877-633-7661 in Las Vegas, for high quantity duplication, tell them that Trimordial Studio sent you. From and to: 1/4" stereo 7" reel-to-reel (and tape baking if necessary), cassette, 4-track cassette, 8-track cassette (NOT Stereo 8 commonly known as an 8-track cartridge), CD, DVD; QuickTime, MP3, AIFF, or SD II files. Location Live or Recorded Playback Sound Engineering: Including sound engineer (me). 1. Audio Engineer Services Only: Using your equipment at your location, for live or recorded performance or recording. $25 per day plus $50 per hour of rehearsal and performance time. 2. Audio Engineer and EFX Only: Portable rack of stereo compression, reverb, delay, and Aphex Aural Exciter to add to your sound system. $50 per day plus $50 per hour of reheaseral performance time. Click above to hear some songs that I recorded for my band, Poppermost original indie pop rock music band in Las Vegas. Click to hear a Choir Recording MP3 of an excerpt from the Choir Cantata "The Seven Last Words of Christ" by Theodore DuBois, a live digital audio recording using Shure SM81 mics by Roy Rendahl at Hope Lutheran Church in Fresno, California, USA, performed by the church choir, directed by Tom Lindstrom, with pipe organ by my sister, Ann Aakre. Cover photo by Roy Rendahl for an album project titled Dreams in a Stream by Cindy Self. for songwriters, musicians, and bands. Ranked and updated every 30 minutes.